By the end of this year I will have a couple of short books online and one in the bookstores. Part of that involves coming up with a dedication and an acknowledgement for each one. Granted this is not required. But for me it is necessary. 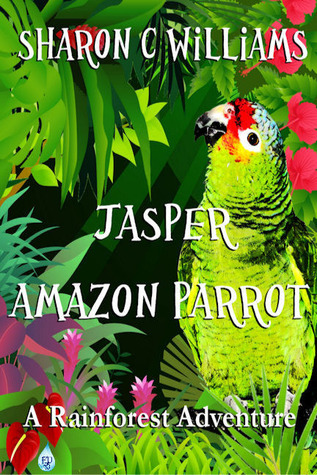 For “Jasper, Amazon Parrot:ARainforest Adventure” the dedication is easy. I will be dedicating the book to Jasper. Without his personality this book would not have been written. But now comes the joy of acknowledging everyone who has helped me. That is a long list. Longer then I thought once I started writing down the names. -My editor Nancy who is an amazing woman. I am so fortunate to have her. -My sister Karen who loaned me her daycare so the children could read the book. This was perfect for beta reading. -I have my writings groups all of which have helped me in one way or another with edits and suggestions. -I have the numerous people on my Twitter account, FB profile page and this site alone who have encourage me and lifted me back up. -I have my friend Debbie who believed in me from the moment she read the very first draft of Jasper. Who knew ,according to her, this book was going to be published. -Melanie my publisher who believes in my book and shares my vision for it. The list goes on. I am surrounded by a large group of people who have helped me get to this point. So writing a dedication is not easy if you want to do it right. And you should for you did not get to this point alone, I didn’t.